Height: 15 to 20 feet (4.6 to 6 meters) tall. Tyrannosaurus Rex lives up to its reputation as one of the most frightening dinos of all time. Its mouth had 60 teeth, each one up to 8 inches (20 cm) — a tooth the size of a banana. 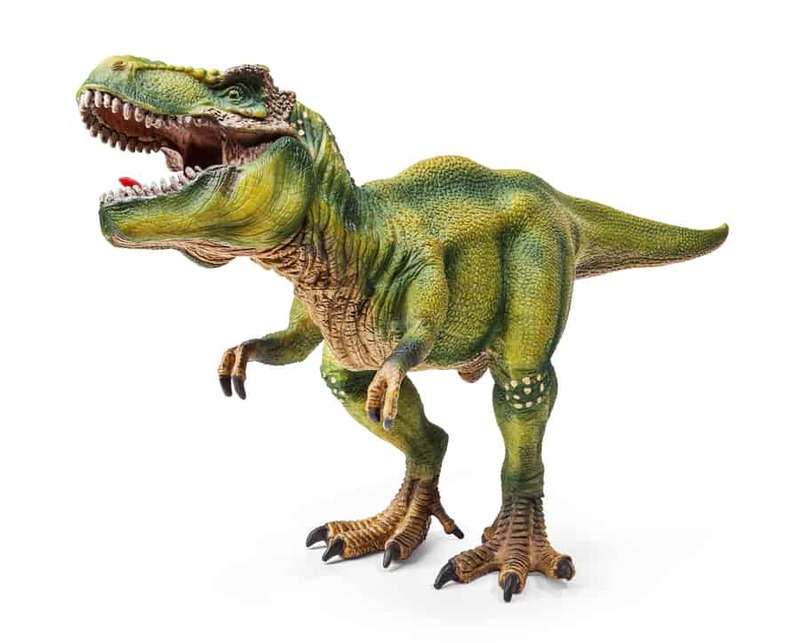 T-Rex’s bite strength was about three times as powerful as a lion. Bite marks observed on fossil bones of both the Triceratops and Edmontosaurus reveal that T-Rex could bite through bone. Scientists look at fossils of Tyrannosaurus poo (coperltley) coperlyte show that it contained the bones of its prey. Was T-Rex a hunter or scavenger? Tyrannosaurus’ skull was 5 feet (1.5m) is length. The space that contained the part of the brain that processed smell was big. Tyrannosaurus Rex would have used smell to locate prey. It would also used smell to locate dead bodies to scavenge. It would have been able to frighten away other scavengers, so it could eat dead carrion for itself. Lone hunter or hunted in packs? Many Tyrannosaurus Rex fossils reveal bite marks from other tyrannosaurs. They fought each other, whether over food or to compete for mates. Close relatives of Tyrannosaurus lived together. Paleontologists discovered fossils of groups that were buried together. It is not know if if they hunted alone, or in groups like lions and wolves do.